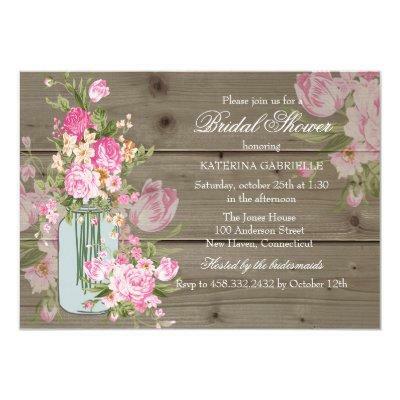 Wood Look Bridal Shower Invitation. Pretty pink floral mason jar and rustic wood design. Please note, all flat images!